Snow...Snow...Go Away!!!! For the past few days I can't help but think about Summer. The heat, the sun, the bare skin, the beach...awww Summer can you come any faster? I love Winter don't get me wrong, but I am just anxious for the warm weather to come now. My new Rockin Footwear are totally making me feel this way. Super comfortable, stylish and functional. 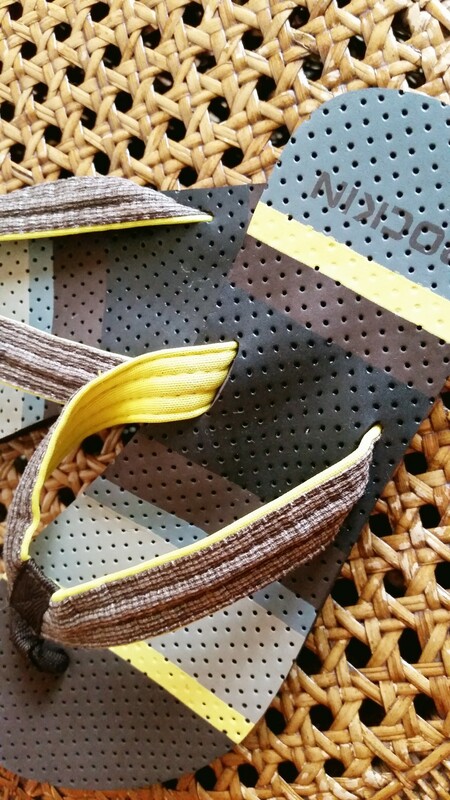 Honeycomb flip flops are cool. I will be wearing them to the beach, the pool and everywhere else I will be heading to. The Multi-Stripes Flip Flops are so light. I think they will be my everyday shoes this coming Summer. Oh and these super cute, stylish Aqua Socks are going to be perfect for the Water Park visits with the family this year. All I can say is I am not Rockin' yet but I will definitely be Rockin' my Rockin Footwear come this Summer.